Temperatures might be dropping in Louisville, but that certainly hasn't stopped baseball players ranging from top prospects to journeyman veterans from sharpening their skills during the offseason. The Cincinnati Reds have a number of players in the Arizona Fall League, as well as the Dominican, Mexican, and Venezuelan Winter Leagues, including many players who have appeared in a Louisville uniform. 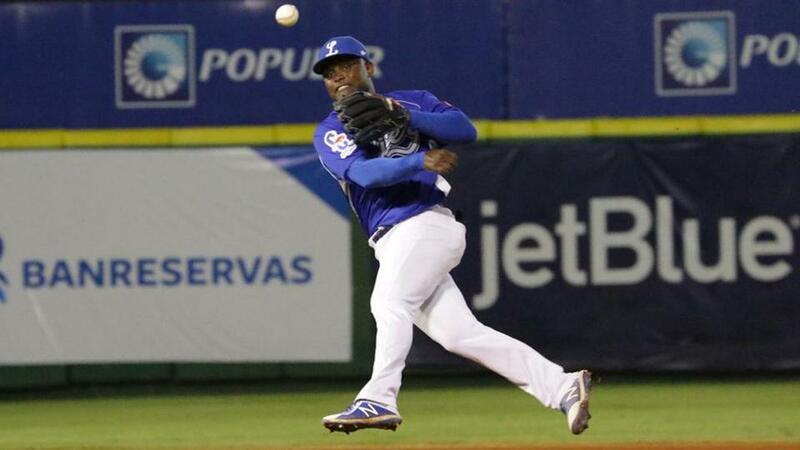 Louisville Bats infielder Dilson Herrera, who appeared in 53 games with the Reds in 2018, has played in 14 games with Tigres del Licey in the Dominican Winter League, batting .196 (9-for-46) with a double and a home run, playing primarily second base. Herrera is teammates with some familiar names, including the Reds' number 16 prospect, outfielder Aristides Aquino, who is batting .235 (4-for-17) in eight games for Licey. Former Reds infielder Arismendy Alcantara is on the same club, as well as former Bats Daniel Corcino and Juan Francisco. Two of the Bats' key contributors during the 2018 season are teammates on Estrellas de Oriente in the DWL, Gabriel Guerrero and Brian O'Grady. Guerrero is batting .267 (16-for-60) with three doubles and two homers in 15 games, while O'Grady is batting .179 (5-for-28) in nine games. Former Bats closer Jumbo Diaz has been excellent for Oriente, going 1-0 in 10 scoreless appearances with one save. Oriente owns the best record in the DWL, going 15-11 through its first 26 games. Other former Bats participating in the DWL include Josh Judy, Nefi Ogando, Wandy Peralta, and Felix Perez (Aguilas), Rafael De Paula, Rosell Herrera, Jesus Reyes, and Domingo Tapia (Cibao) and Ariel Hernandez (Escogido). Number 17 prospect Jose Siri is playing in the DWL for Cibao, teammates with the aforementioned quartet of 2018 Bats. A number of potential future Louisville Bats are playing in the Arizona Fall League, including top prospects Taylor Trammell (#2), Shed Long (#8), and Alfredo Rodriguez (#23). The trio are playing together on the Scottsdale Scorpions, with Trammell ranking third on the team with a .298 average, going 25-for-84 with four doubles and two triples in 22 games. Long is batting .241 (14-for-58) in 19 games and Rodriguez is batting .172 (11-for-64) in 19 games. The Scorpions own a 14-14-1 record after 29 games. In the Mexican League, Steve Selsky and Jason Bourgeois, who both played for the 2015 Bats, are teammates on Aguilas de Mexicali. Another 2015 Bat, right-hander Josh Smith, has made four appearances for Naranjeros de Hermosillo. In Venezuela, former Bats Denis Phipps (Lara), Daryl Thompson (Anzoategui), and Ramon Cabrera (Caracas) have all played significant time, with the Reds' newly-signed backstop Juan Graterol being Caracas' other catcher, complementing Cabrera. A pair of former Bats, outfielder Yorman Rodriguez and left-hander Brennan Bernardino are teammates on Tigres de Aragua. For a full list of Fall/Winter League standings and statistics, visit http://mlb.mlb.com/milb/stats/.